VietNamNet Bridge - People are rushing to buy bitcoin mining machines. Bitcoin ATMs can be found at some cafes in HCMC. Numerous calls for investments in bitcoin have appeared on the internet. And some travel firms accept payments in bitcoin. When reporters visited bitcoin mining machines on Nguyen Phuc Chu street in Tan Binh district, HCMC, they were told that the machine had run out because of high demand. “Some years ago, we could sell 1-2 machines every month. But now, the machines are selling like hot cakes,” the owner of the shop said. “We have one batch of machines (each batch contains about 100 machines) for sale every month. Most of them are delivered to those who have paid a deposit,” he said. The reporters said they wanted to order one machine and pay in advance, but the shop owner said he could not take the order because he was not sure when the machines would be available. However, he suggested upgrading normal computers into ‘super computers’ to use them to mine bitcoin. The number of bitcoin ATMs in HCMC is so high that their positions can be found easily on the internet. There are many videos which show how to make transactions on ATMs, and consultants are ready to help beginners carry out operations. In HCMC, it is easy to find ‘consultants’ who give advice to beginners. Giang, a consultant, said investment in bitcoins can bring ‘super-profits’. “You just need to spend VND700 million on 10 systems of computers to mine bitcoin. You’ll take back the investment capital after six months. After that, you can earn VND100 million at least a month,” Giang said. At a café on Bui Vien street in district 1, called ‘pho Tay’ (street of foreigners), in HCMC, green and red numerals change regularly on the electronic board. Vo Le Thanh, a bitcoin investor, said he surfed 10 investment deals within one afternoon. With two bitcoins in his wallet, Thanh can earn VND6-10 million in each deal. 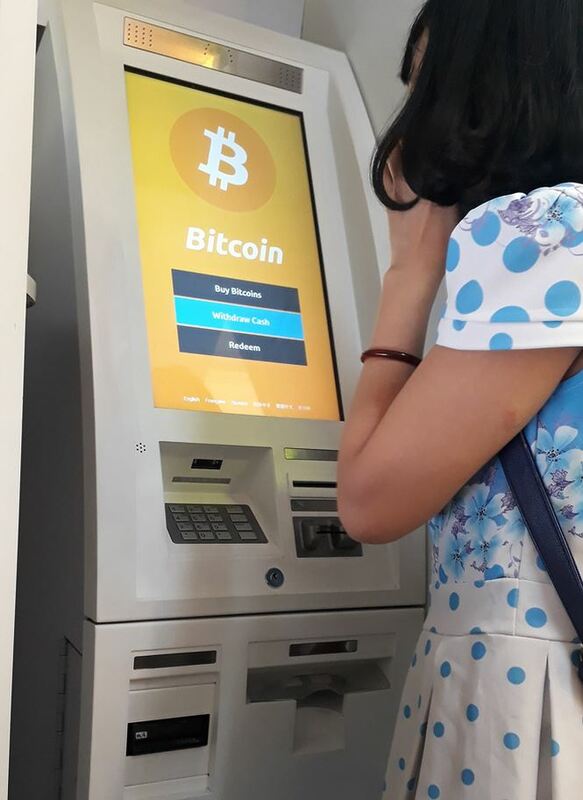 Many bitcoin ATMs have been installed in HCMC. The manager of an ATM in district 8 said users can come to ATMs to buy and sell bitcoins. At some ATMs, they can buy bitcoin but cannot sell. Nguyen Hoang Minh, deputy director of the State Bank HCMC branch, said that to date no bitcoin ATM had been licensed. ‘Lending’ is a familiar name among bitcoin investors. The group specializing in mobilizing bitcoins and paying interest on bitcoin deposits operates under a multi-level mode. However, Nguyen Anh Duc, a well-known bitcoin miner and trader, said the investment is risky. “Lending accepts bitcoin deposits at a high interest rate, but it is very risky because players lend bitcoins based on faith,” he said. Where are Vietnamese buying bitcoin?